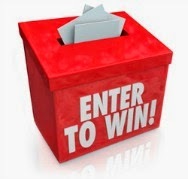 Are you asking yourself how you’d win contests online? If yes, here are some tips from our team that could help you win not all, but at least some contests online. Online contests are a great way to do a small present for yourself, especially knowing that these contests are all free! The prizes are often interesting enough and worthwhile spending several minutes of your time. In this short post we are going to give you some tips on how to participate efficiently in online contests. Historically, there are plenty of online users who are trying to trick the system by registering multiple times with the same postal address and different emails. You should know that this behaviour leads to a disqualification from the contest. Don’t create multiple registrations – you will not be able to trick the organizers. Be vigilant: keep track of all your participations and registrations in online contests. It’s a relatively easy task – just create a spreadsheet where you’d be logging the site, the name of the contest, your registration date. If you have a Google mail account, you can use the spreadsheets in Google Documents. So whenever you are online participating in contests (whether from home or from work) you can log the new information in your contest tracking spreadsheet. Don’t participate in the same contest more than required or allowed by the organizer. On the contrary, nothing prevents from registering your family members. This allows to increase your odds of winning. Still, be very careful! Some contest organizers use technology to detect multiple participations coming from the same IP-address. Once they identify some suspicious activity, they may remove any new registrations after the first one. If you want to win, you need to keep trying. Take part in online contests on a regular basis. Find and register into such contests every day: visit regularly contest-focused sites to get the list of the newest contests online and use 5-10 minutes of your time to sign up once or twice per day. To save on your time, use the auto-fill option in your browse to fill signup forms out. Photo and video contests require more ingenuity from you. But remember that the number of participants in such contests is very low. So your chances of winning photo and video contests are higher! With higher odds of winning you can grab a pretty good prize, which are usually very attractive in such contests. Good luck with online contests! Also, check the newest contests available on Extreme Savings Canada.